Aspen won second place at Denver Nationals, May 2011. We are looking for partners interested in promoting the Hotazel line. 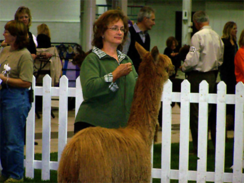 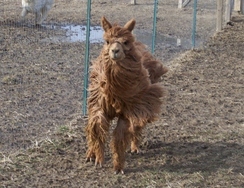 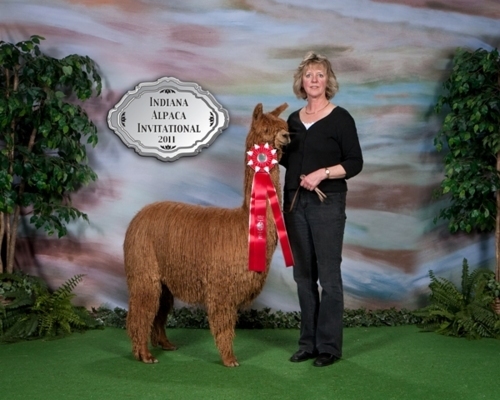 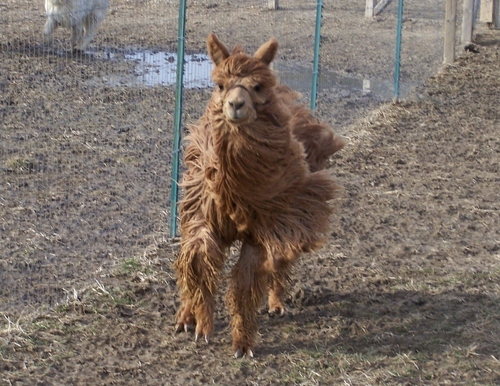 Hotazel’s Aspen won 2nd place at the following 2011 Spring Shows: MOPACA Invitational, Indiana Alpaca Invitational, Futurity. The judges at each commented on Aspen’s luster, density and conformation. We are open to shared ownership on Aspen, as he is now open for breedings. 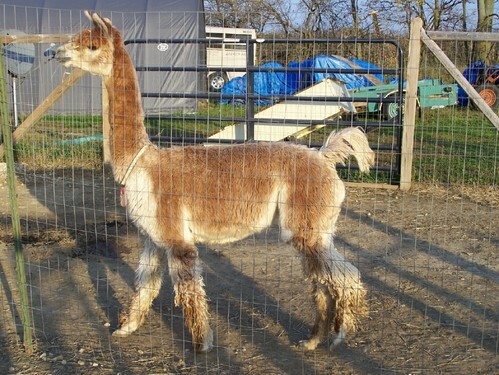 Please contact us if interested. 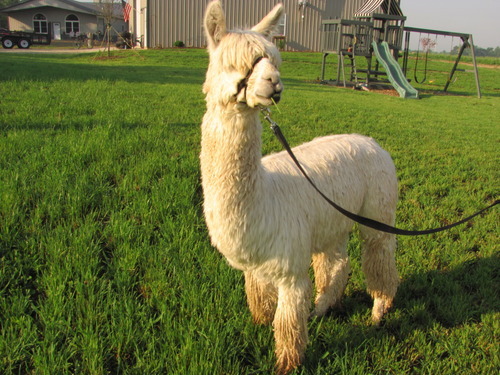 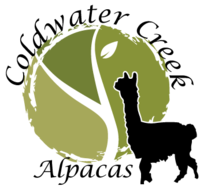 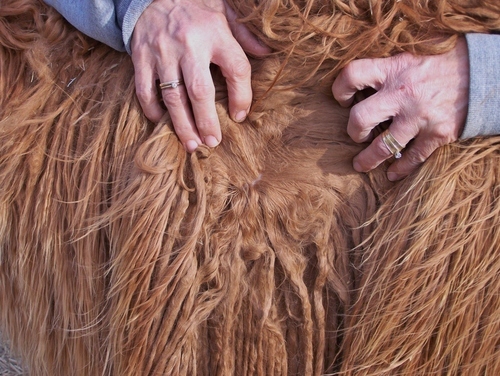 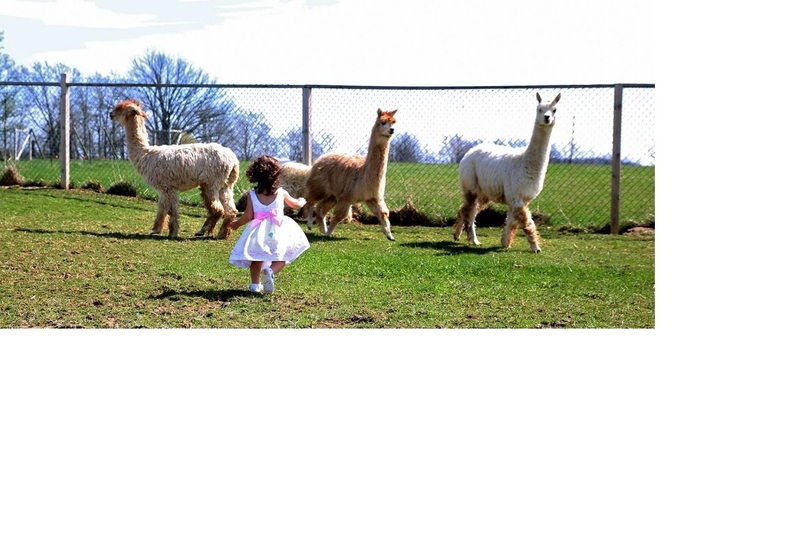 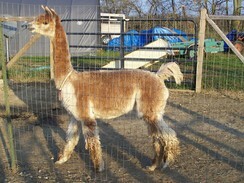 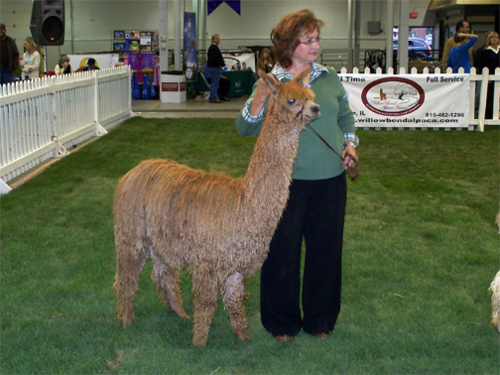 We are now taking breeding agreements, and look forward to many award winning cria through him! 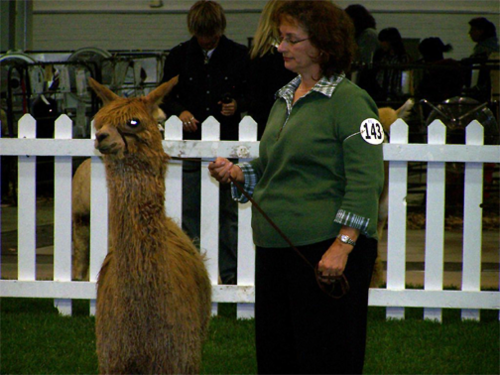 Dam : DD Peruvian Que Suerte! 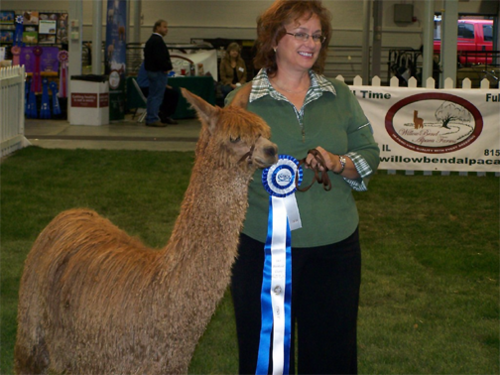 Pure Peruvian, 2009 Indiana Invitational 3rd place winner. 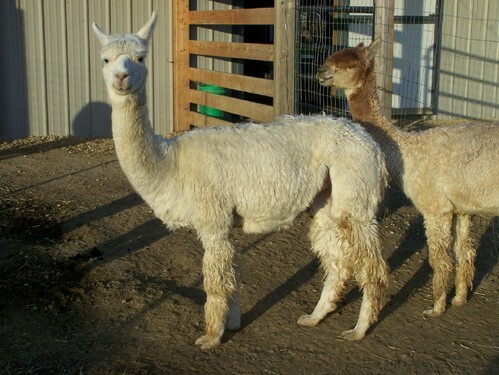 Book now for your breeding. 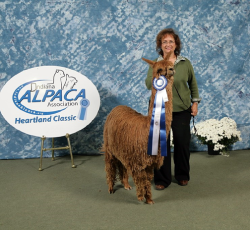 We are so happy to receive the 1st Place Blue Ribbon for yearling Males in full fleece at the Heartland Classic in Indianapolis in October. 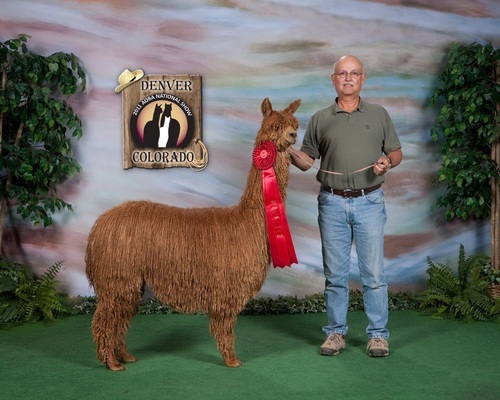 Aspen won on his fineness of fiber, excellence of conformation, density of locks, and his proud stance. Look for him at Ohio OABA Aplacafest November 6th and 7th in Springfield, Ohio.